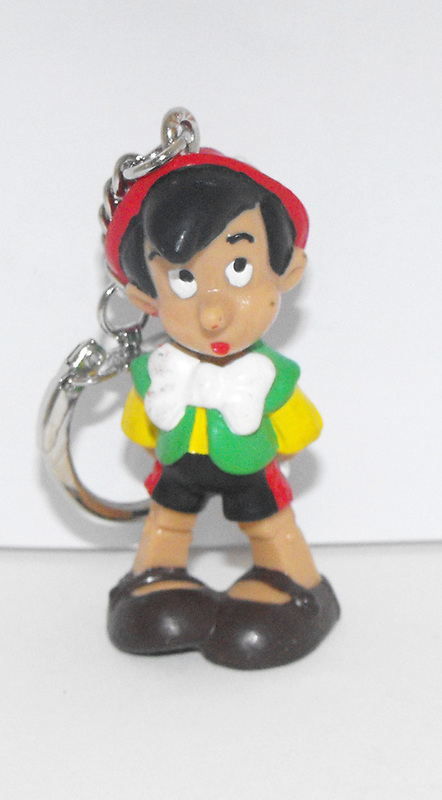 Pinocchio as a School Boy Plastic Figurine Keychain, about 2 inches tall. The figure is made of plastic and the key chain part is made of metal. Brand new and never used. This figurine comes loose without any packaging or tag. It is made by Disney and Bullyland.